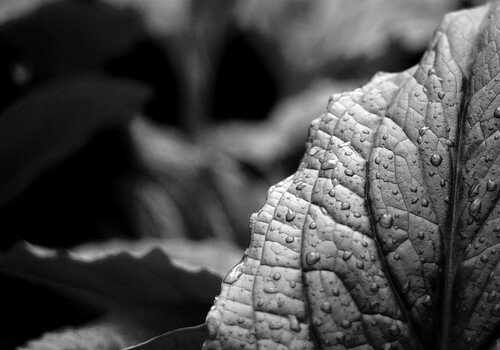 Photographing in the rain can be tough but rewarding, check out one of the links below for some rain tips. I’m sure a lot of you are feeling about as rushed and busy as I am lately, what with the holidays and all. As I’ll be heading out of town again soon, I can’t promise any timely updates around here this week, but I have the last week of the year off from my day-job, so I’m hoping I’ll be able to stock-pile some entries here. I’m crosing my fingers! Feeling uninspired? This list of 12 ideas on how to take better photographs might give you some ideas of new things to shoot. In an entry a while back, I suggested asking for photography books for holiday gifts. It’s probably a bit too late to be putting things on your wish list now, but if you’re looking to buy something for yourself, check out this list of 50 must-read photography books. Speaking of holiday gift-guides, here’s one from DIYPhotgraphy. Ok, I might be a bit late posting that link, but like I said, we can always buy stuff for ourselves, right? Especially if we get some gift cards as gifts! And if you’re looking for even more things to purchase that might be closer to your price-range, be sure to read this list of must-have gear that won’t break the bank. Rain can add a lot of mood into photographs, but it can also be hard to capture sometimes. Check out these tips for shooting in the rain. It can also be difficult to shoot landscapes at night, so here are some tips on that, too. I’m not usually really into videos, but I found this one of Paul Nicklen, a National Geographic photographer, about when he was taking photographs of a leopard seal that thought it was her duty to save his life. I mentioned once about the background in your photos being something to take into consideration when composing your shots. Here’s 9 tips fora perfect portrait background. I’ve often noticed, and loved, the “small details” wedding photos, but I never really thought about when applied to other situations – but it can, and it shows the importance of having a telephoto lens in your camera bag, too. I recently purchased this Bokeh Master’s Kit, but haven’t gotten it in the mail yet. You’ll see some test shots as soon as I do, I’m sure. The idea is that you can put it on your lens in order to get nifty-shaped bokeh in the background. Thanks for this resource, Jennifer. I got here from your DPS article about programming. Glad to see that photography satisfies the "right side" of your mind. I don't see a link for the Paul Nicklen video. Am I missing something? Nope - guess I was a bit out of it when I posted this. I've added it now, thanks! Jenn - you don't seem to have linked the video. Just FYI. Whoops! Thanks - fixed now!